Agriculture is very important for most countries in the humid and the sub-humid tropics. Take tropical Asia as an example. In tropical Asia, agriculture is a key economic sector. In 1993, ithad employed more than half of the labor force, accounting for 10-63% of the GDP in most countries of the region (IPCC, 1998). Substantial foreign exchange earnings also are derived from exports of agricultural products. Climate-sensitive crops - such as rice, other grains and cereals, vegetables, and spices - are particularly important in this region. Rice is the most important cereal crop. About 88.5% of the world's rain-fed lowland rice is cultivated in South and Southeast Asia. In almost all the countries, rice constitutes over 80% (even 98% individually) of total cereal production. Maize and wheat are the second important cereals (IPCC, 1998). However, there already exists some degree of vulnerability of the agriculture in the humid and sub-humid tropics due to a number of factors. Tropical Asia supports a large population so that there is a relatively high population density per hectare of intensely cultivated land. Tropical cyclones are one of the most important climatic features and often cause great damages to agriculture. Except for Africa, where food security has been a pressing problem for a number of years now, agriculture of the other countries in the humid and sub-humid tropics is also vulnerable, but with less severity than those in tropical Asia due to their moderate population density and relatively large croplands. In the wet equatorial climate zone, commercial agriculture is largely based on perennials, such as rubber, oil palm, bananas, liberica coffee and, to a lesser extent, coconut and cocoa. Some other perennials, such as arabica and robusta coffee, mango and citrus, which need a short drier and cooler spell, are not well suited to the climate. Native farming often includes a plot of fruit trees and other perennials of economic value, but roots are commonly the most important food crops, especially yams, cassava, cocoyams, dasheen or eddo and tannia. Rice is grown extensively. It thrives best in climates with a brief dry season, but the main rice-producing zones here have climates with a more pronounced dry season. Maize is the only other cereal grown appreciably, and its successful cultivation demands adapted varieties. Efficient cultivation and weed control, especially in annual crops, are difficult because of the continuous wet weather during which, weed growth is extremely rapid and luxuriant. Soil fertility is commonly limited by nutrient deficiencies. Apart from pigs and poultry, livestock are unimportant mainly because there are no extensive natural grasslands and there are endemic diseases (Webster and Wilson, 1980). In areas with good rainfall, usually two rainy seasons with only short dry seasons, perennial crops such as coffee, tea and bananas can be satisfactorily grown. There are two cropping seasons a year for annuals, the first commonly devoted to food crops and the second generally to cotton or vegetable. In the southern coast of west Africa, the chief perennial crops are oil palms and cocoa, while annuals are mainly maize, pulses, yams and cassava. Rice is the chief annual crop under similar climatic conditions in Southeast Asia. Owing to the absence of good natural grasslands and the presence of endemic diseases, livestock have hitherto been relatively unimportant. In the areas with two short rainy seasons and pronounced intervening dry seasons, climatic conditions are far less suitable than the preceding type for perennial crops, except for some markedly drought-resistant types. The commonest crops are maize, sorghum, finger millet, sweet potatoes, cassava, groundnuts, beans and other pulse crops. The importance of cattle varies considerably, depending upon the presence or absence of tsetse fly and, in part, on traditional agricultural systems. In the wet climates of the tropical windward coasts, mainly along the east of the Malagasy Republic, Central America and the northern part of South America, the high rainfall and absence of a severe dry season permit the cultivation of a wide range of perennial and annual crops, such as rice, maize, yams, tannia, dasjeen, sweet potato, arrowroot, sugarcane, cocoa, coconut and nutmeg. Perennials such as coffee and citrus, which do best under more moderate rainfall and with a short dry season accompanied by lower temperatures, are commercially profitable. Crops requiring a lower rainfall and a more pronounced dry season for harvesting, such as cotton, tobacco or groundnut, are difficult in the wetter areas, but grown quite extensively in the dry parts of the zones (Webster and Wilson, 1980). Tropical forests represent about 40% of the world's forested area and contain about 60% of global forest biomass. Rainforests and monsoon forests are two major types in the humid and sub-humid tropics. Rainforests grow in ever-wet conditions where rainfall is heavy and spread throughout the year, such as in the Amazon Basin and the Congo delta. These forests are evergreen or semi-evergreen and include lowland, montane, and swamp forests. Monsoon forests grow in the Southeast Asian region where rainfall is high but unevenly spread throughout the year. Most monsoon forest trees are deciduous; they shed their leaves in the dry season. Owing to no management, under the pressure of increasing population, many of these two types of forest are degraded by logging, farming, and fire. In the Asia-Pacific region, where most of the world's managed tropical forests are found, less than 20% of production forests receive systemic silvicultural treatment (FAO and UNEP, 1981). Only 0.2% of the world's humid and sub-humid tropical forests is being managed for sustained timber production (Poore et al., 1990). Except large areas of tropical natural forest biome, plantation forestry also plays an important role in the humid and sub-humid tropics. Most tropical tree plantations were established after the 1960s, particularly in sub-humid and premontane tropics (Lugo, 1988). Plantations are usually established on damaged or deforested lands for sawn wood, veneer, and pulpwood production, environmental protection, or for supplying firewood. Mixed tree systems, a kind of tree plantation known as home gardens and mixed tree orchards, is also a common form for the harvest of various forest products including firewood, food for the household and marketplace, medicines, and construction materials, and the environmental benefits such as resulting in more local reforestation. Humid and sub-humid tropical forest is one of the richest regions in biodiversity. Frontier forests in Asia are home of more than 50% of the world's terrestrial plant and animal species (Rice, 1998). Central Americahas about 8% of the world's biodiversity concentrated in only 0.4% of the emerged surface of the planet. But biodiversity in this region is at risk due to climate change, land-use, and population pressure. The efficiency of tropical agriculture and forestry is determined by a combination of environmental factors that include climate, soil, and biological conditions, social, cultural, and economic factors. Agriculture and forestry systems and techniques that have evolved over time to meet the special environmental conditions and economic demands of the region include the paddy rice systems of Southeast Asia; terrace, mound, and drained field systems; raised bed system; and a variety of agroforestry, and shifting cultivation. Monocultural systems have been successfully introduced over large areas of the humid and sub-humid tropics, and include production of coffee, tea, bananas, citrus fruits, palm oil, rubber, sugarcane, and other commodities produced primarily for export (National Research Council, 1993). Intensive cropping systems are concentrated in lands with adequate water, naturally fertile soils, low to modest slope, and other environmental characteristics conducive to high agricultural productivity. But the systems face critical challenges in order to respond to the food and other subsistence needs of expanding populations. Fallow period that allowed for the accumulation of nutrients and the suppression of pests have essentially been removed from the crop rotation sequence. Furthermore, pressures from pests and diseases are increasing as the area devoted to the cultivation of new varieties (Fearnside, 1987). In some countries in some regions, lowland areas that are relied on for producing staple and cash crop are in danger of becoming unfit for crop production as a result of improper management, such as nutrient loading from fertilizers, water contamination from pesticides and herbicides, and waterlogging and salinization. Shifting cultivation is one of the most widespread farming systems throughout the humid and sub-humid tropics. Temporary forest clearings are planted for a few years with annual or short-term perennial crops, and then allowed to remain fallow for a longer period than they were cropped. However, it is often labeled as the most serious land use problem in the tropical world (Grandstaff, 1981). In many of the areas, where it had formerly been practiced successfully for centuries, population and poverty pressures have forced the shortening of the fallow period and field rotation cycle and consequently, a loss of productivity. Agropastoral systems combine crop and animal production. In Asia, the animal components of small farming operations vary with cropping systems. In lowland rice-farming areas, buffalo, cattle, fowl, and swine are commonly raised. In highland areas, swine, poultry, buffalo, and cattle are raised in combination with rice, maize, cassava, bean, and small grains. In humid Africa, these systems are dominated by crops such as rice, yams, and plantains, and animals such as goats and poultry. The small farms of Latin America typically include crop mixtures of beans, maize, and rice. Cattle, swine and poultry are dominant animals. Agropastoral systems can enhance agroecosystem productivity and stability through efficient nutrient management, integrated management of soil and water resources, and a wider variety of both crop and livestock products. At the same time, it may provide relatively high levels of income and employment in resource-poor areas. Livestock production in the humid part of Africa is not important as an economic activity; only few lands are cleared for cattle pasture (Brown and Thomas, 1990), and cattle are vulnerable to the effect of trypanosomiasis and tsetse fly (Linear, 1985). Cattle raising on pasturelands takes place in some countries of Southeast Asia, but it is not a significant factor in increasing deforestation since crop production systems are dominant. However, cattle ranching on a large scale has been identified as a leading contributor to deforestation and environmental degradation in the humid and sub-humid parts of Latin America where cattle raising is common due to its socioeconomic and ecological importance. Overall pasture degradation is the primary problem that cattle ranching faces in the humid and sub-humid tropics (particularly evident in Latin America) due to its low soil fertility. 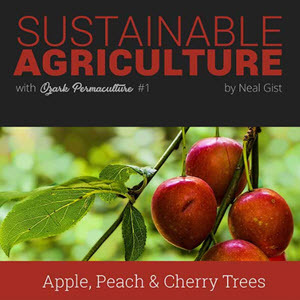 Agroforestry systems include a range of options in which woody and herbaceous perennials are grown on land that also supports agricultural crops or animals. Under ideal conditions, such as a compatible association of trees, annual crops and animals, these systems offer multiple agronomic, economic, environmental, and socioeconomic benefits for resource-poor small-scale farmers, including enhanced nutrient cycling, fixing of atmospheric nitrogen through the use of perennial legumes, efficient allocation of water and light, conservation of soil, natural suppression of weeds, and diversification of farm products (Lal, 1991). It is important to note, however, that trees have both positive and negative effects on soils. Negative effects include growth suppression caused by competition for limited resources (nutrients, water, and light). Mismanagement of trees (for example, through improper fertilizer application or inadequate water control) can also cause soil erosion, nutrient depletion, water logging, drought stress, and soil compaction. What are of subhumid tropical characteristics? What is the characteristic of subhumid and humid? What are the characteristics of tropical agriculture? Why plantation farming is doomed in humid areas? What type of farming in equatorial climate of africa? What are the characteristics features of tropical agriculture and how they affect production? What is sub humid tropics? Are Humid and subhumid areas populated? What type of farming is used in the subhumid and semiarid region?